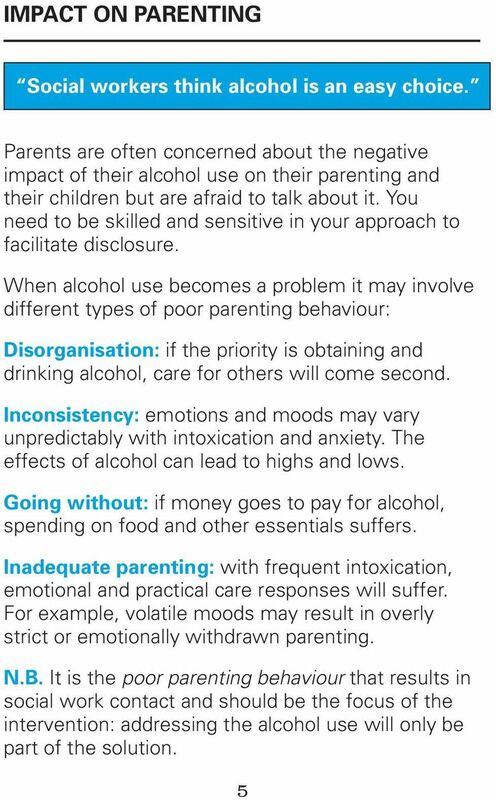 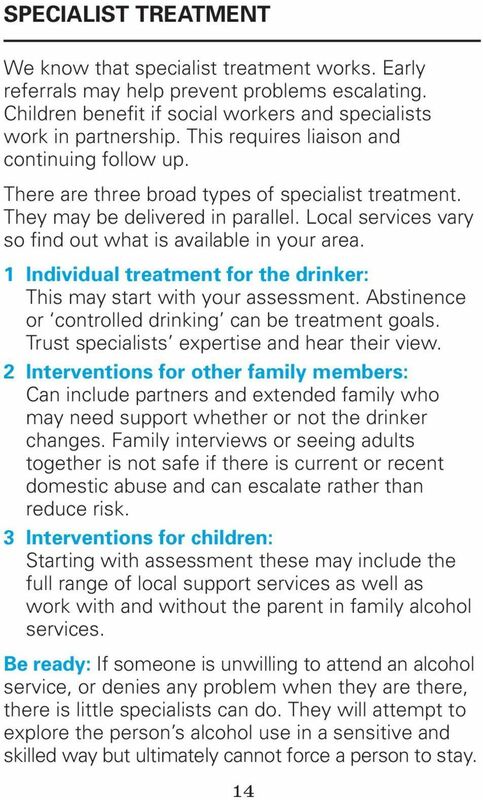 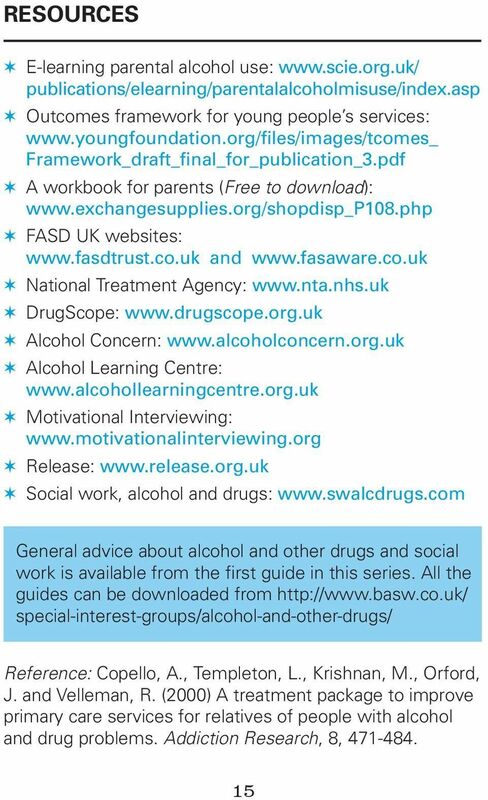 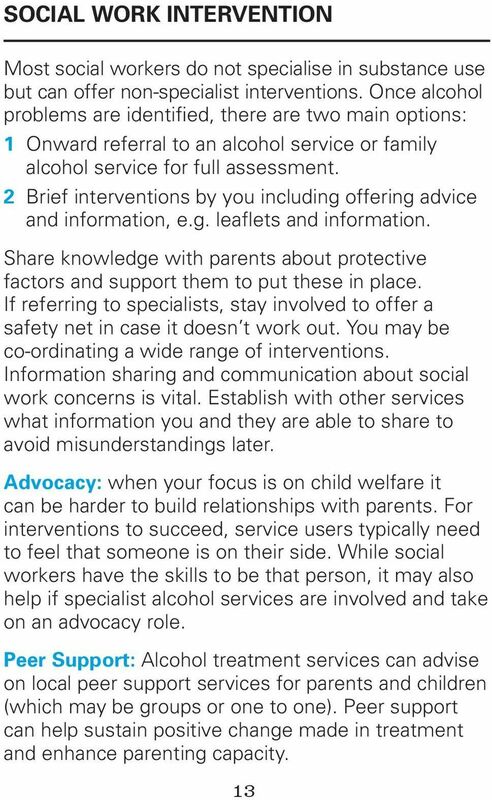 Download "CHILDREN, FAMILIES & ALCOHOL USE"
2 Purpose of the guide This guide aims to support Social Workers in their practice with people who use alcohol and who have families. 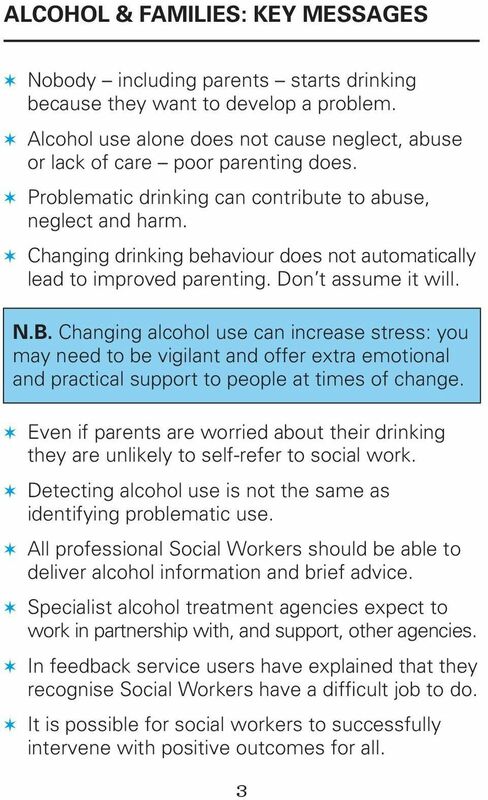 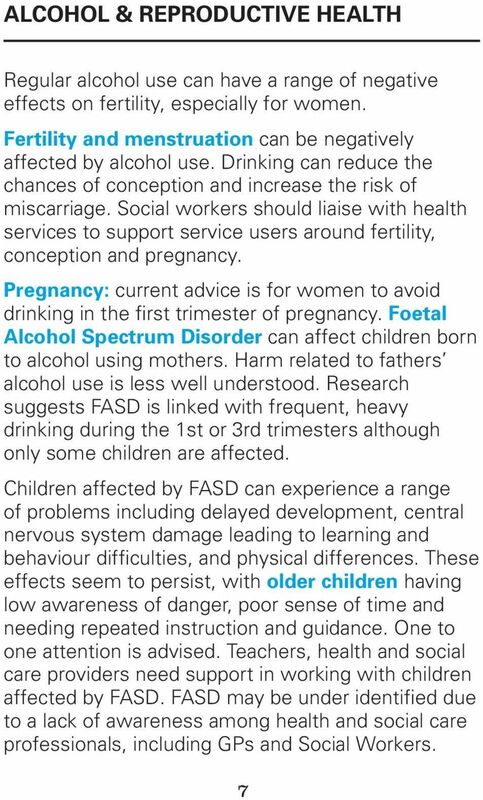 While it focuses on preventing alcoholrelated harm to children, harm to other dependents is an increasing area of concern for social work. 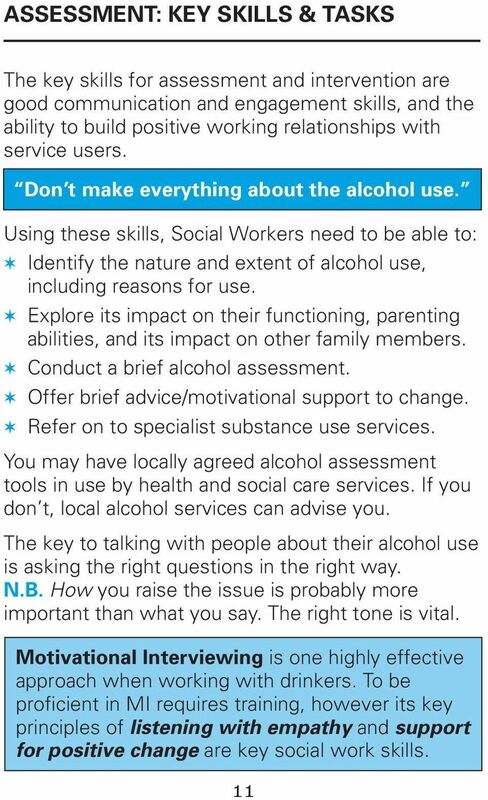 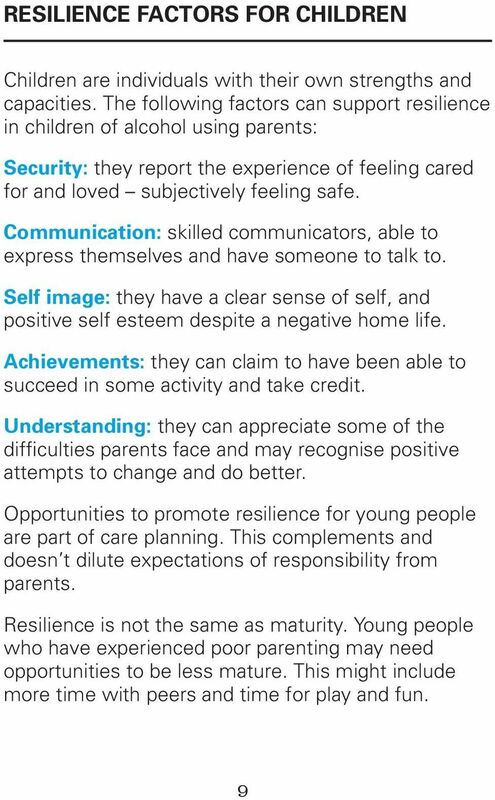 This guide may be relevant to other social care and health professionals. 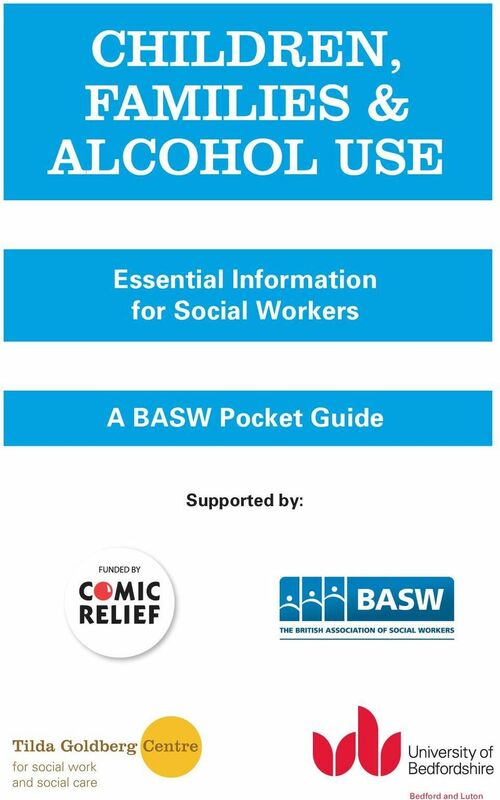 Information in this pocket guide should be supplemented by other learning and reading. 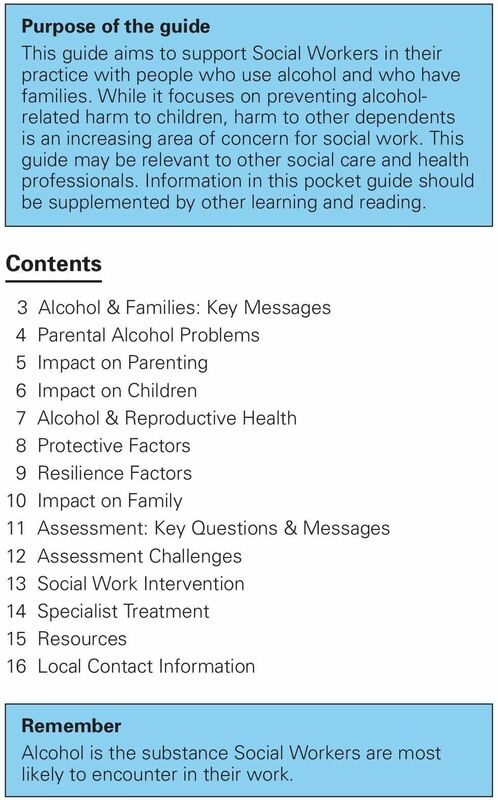 Contents 3 Alcohol & Families: Key Messages 4 Parental Alcohol Problems 5 Impact on Parenting 6 Impact on Children 7 Alcohol & Reproductive Health 8 Protective Factors 9 Resilience Factors 10 Impact on Family 11 Assessment: Key Questions & Messages 12 Assessment Challenges 13 Social Work Intervention 14 Specialist Treatment 15 Resources 16 Local Contact Information Remember Alcohol is the substance Social Workers are most likely to encounter in their work. 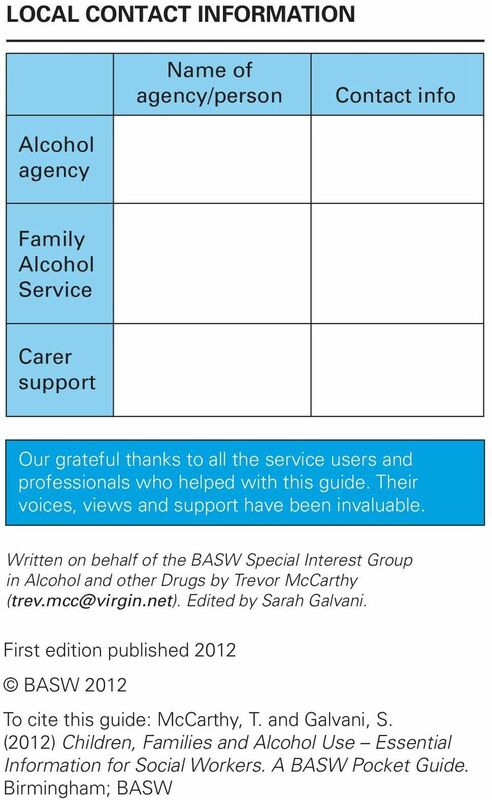 SHARC would like thank the committee for the opportunity to appear before you today and to contribute to this important Inquiry. 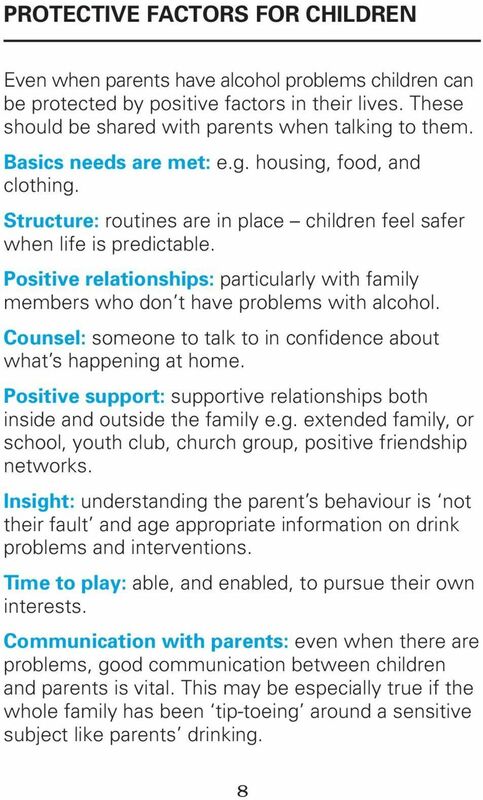 Family interventions for drug. 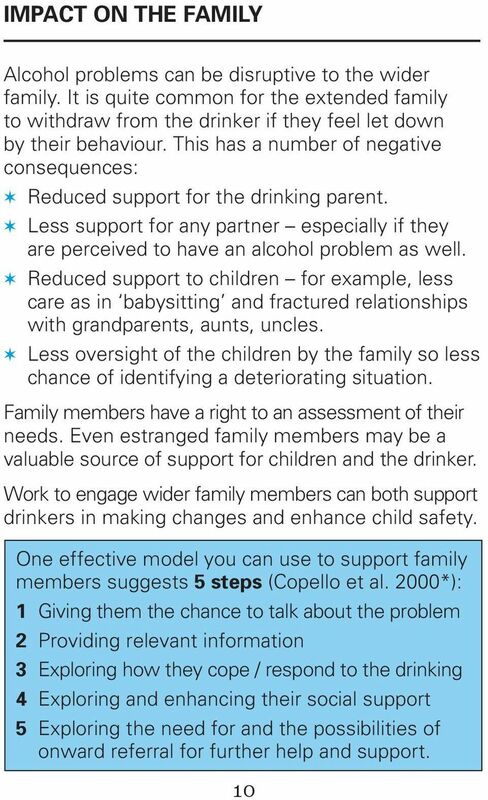 Family interventions for drug. 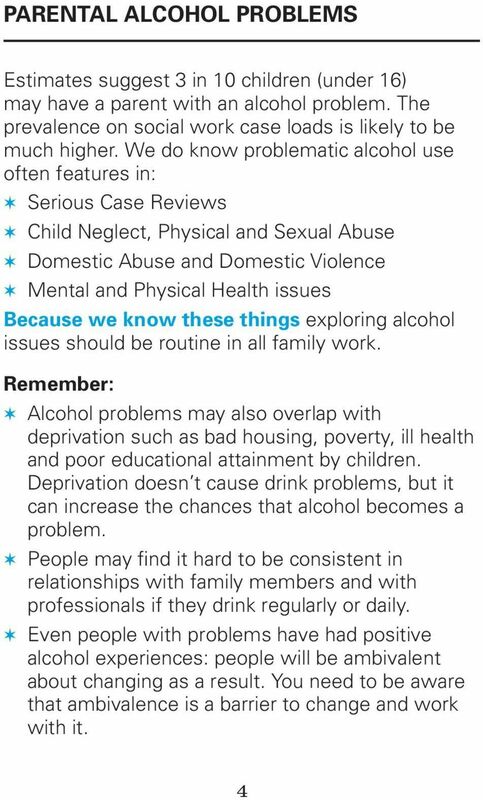 best practice? 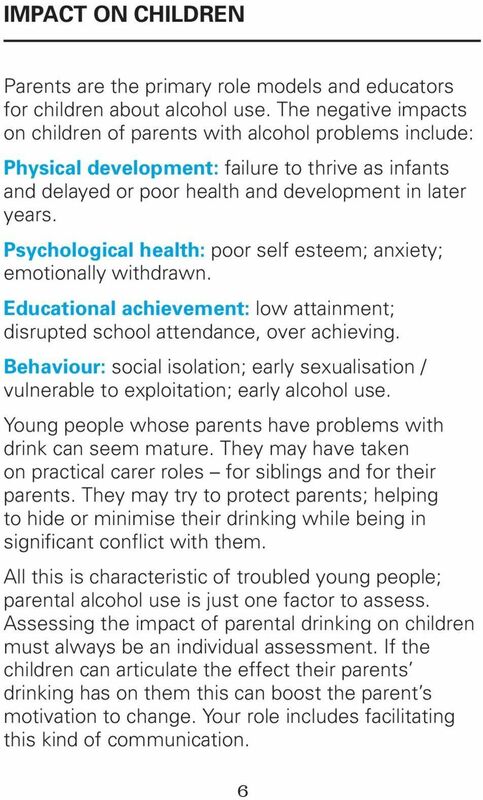 The extent and nature of mental health issues among problem drug users and issues in treatment. 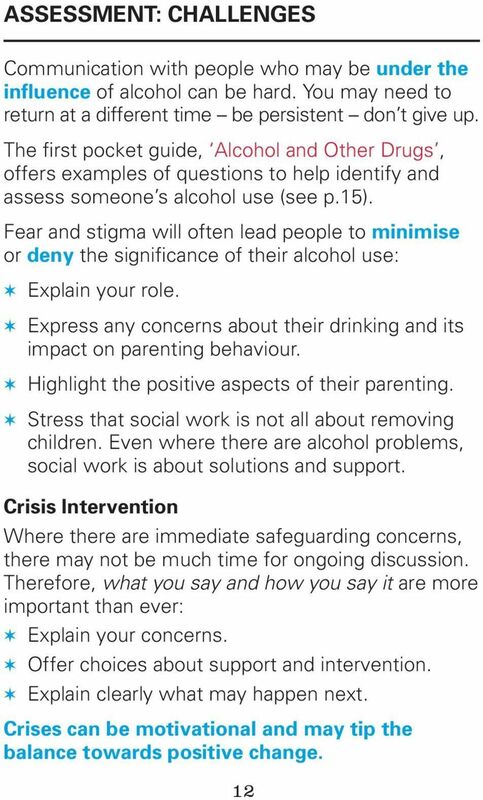 Keeping children safe and well.